The German Foreign Ministry has announced that 54 German citizen were denied entry to Turkish territory in the first seven months of the year, Deutsche Welle Turkish service reported on Monday. The figure was 95 for all of last year, according to the ministry’s answer to a Left Party parliamentary question. 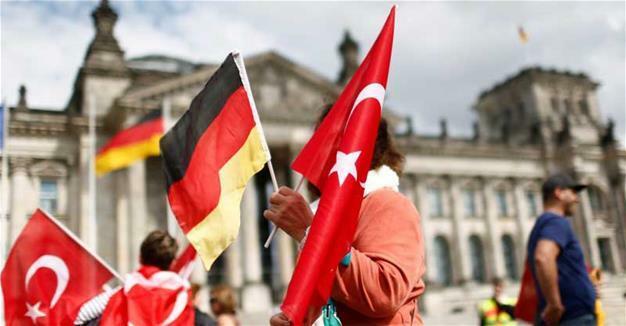 After a failed coup attempt on July 15, 2016, a total of 30 German nationals were detained or arrested in Turkey, although only three of them are still in jail. The detention of German citizens by Turkish authorities created a crisis between the two countries especially after the arrest of Die Welt’s Turkey correspondent Deniz Yücel, who was later released as a result of diplomatic efforts by German officials. Following Yücel’s release the German Foreign Ministry eased its warnings, including the threat of detention, to German citizens on visiting Turkey. According to DW, the bilateral relations between the two countries have been on a track towards improvement, and President Recep Tayyip Erdoğan will visit Germany in September. It is forecast that around 6 million German tourists will have visited Turkey by the end of this year, a record number. Left Party deputy Alexander Neu, who also posed the parliamentary question, criticized the German government for “being too kind” to Turkey. “While the Erdoğan regime continues to take German citizens as hostages, the German government declared the bankruptcy of European values,” he said.